There are over 38,000 licensed attorneys in Michigan and Robert is listed in The National Trial Lawyers Association’s Top 100 Trial Lawyers in Michigan. Robert has testified in Federal Court as an expert witness regarding police procedures. Over the last two (2) decades, as an attorney, Robert has obtained millions of dollars for his clients in cases against members of police departments, the FBI, U.S. Marshalls, County Sheriffs, automobile accidents, major insurance companies, hotel chains and city municipalities as defendants. 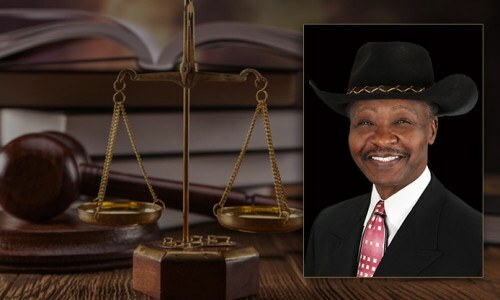 He has successfully represented Police officers as plaintiffs in civil cases and defendants in criminal cases. Robert’s careers, as a Detroit Police Sergeant and then as a successful trial attorney, were uniquely merged through experiences that include interrogations of notorious criminals, testifying in countless trials; working as a detective, homicide investigator, narcotics officer and finally conducting intense cross examination as a trial attorney. The foundation for Robert’s attention to detail was developed during his tenure at Homicide, where he was assigned to Special Assignment Squad (SAS). SAS was a specially trained homicide squad that exclusively handled investigations of every fatal shooting or serious injury involving law enforcement officers that occurred in Detroit, whether the officer was the victim or perpetrator. SAS investigations anticipated that some of the officers who were being investigated had advance knowledge of police procedures and homicide investigative techniques. For 5 years Robert was the training sergeant and lead investigator at the Detroit Law Department for case loads of approximated 600 active police law suits, hundreds of thousands of documents, thousands of witnesses and critical piles of evidence. After retiring from the police department Robert developed his trial skills for six (6) years by handling over 150 criminal cases. Robert’s first civil trial was a police misconduct case, which resulted in a verdict for over one million six hundred thousand dollars ($1,600,000.00). Several other attorneys had rejected the client’s case because he had already served two years in prison, after being shot by the police and wrongly convicted. Robert discovered that during the criminal case the police gave untruthful testimony and concealed a witness who would have exonerated the client. The outcome in most cases depends on how thoroughly they are investigated. Attorney Robert Morris, Jr. is licensed to practice in all levels of the Michigan State courts, Federal District Courts and the U.S. Court of Appeals.